Where do these forecasts come from? China is located in East Asia. Its east borders the Pacific Ocean. Its southeastern border is mostly a hilly jungle difficult to travel through. The south and west of China border the Himalayas, the world’s tallest mountain range. This poses another barrier to trade and military forces, except on its northwestern border through Kazakhstan. The famous medieval network of trade routes from Europe to Asia, called the Silk Road, ran through Kazakhstan to China. To China’s north, the Gobi Desert runs along China’s border with Mongolia. China also borders Russia to the north in a relatively uninhabited region. With borders like these, China is geographically secure. Historically, its geography allowed China to develop without much interaction with foreign powers, unless it chose to. Its territory and population size also make it hard to conquer. The only successful invasion of China was by the Mongolian horsemen in the 1200s. Even though the Japanese invaded and occupied large parts of eastern China in the 1930s, they could never get the Chinese to capitulate. The history that is important to the Trumpet’s forecasts begins in 1949 when Mao Zedong established the People’s Republic of China. Mao modeled China’s political structures on those of the Communist Soviet Union. This attracted Soviet loans, boosted growth in the Chinese economy, and put it on an ideological path opposite of the United States. The Chinese began to drift from Soviet Russia both philosophically and strategically, and started looking elsewhere for economic prosperity. 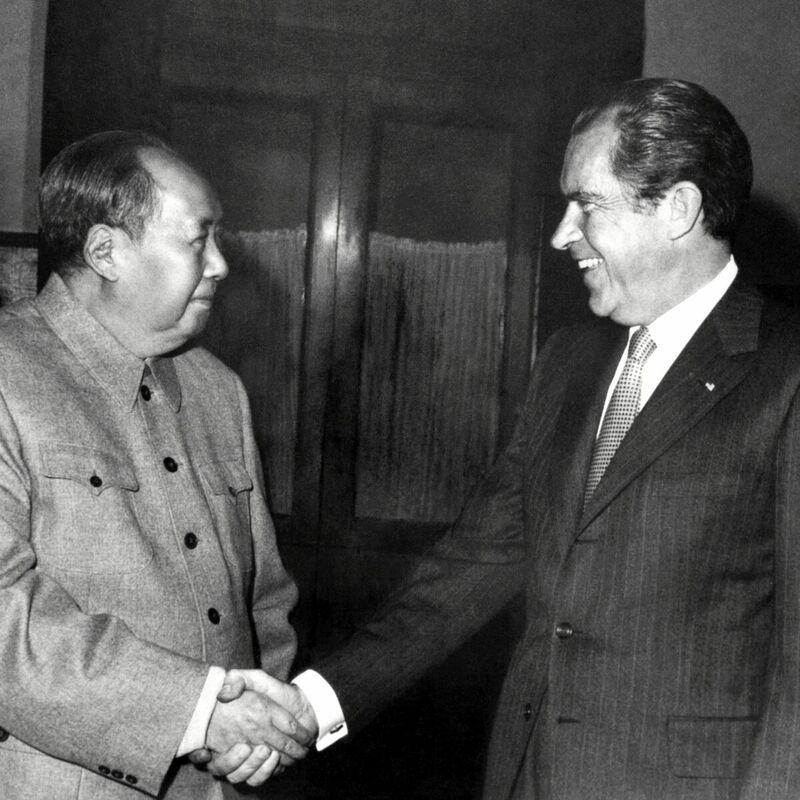 Chinese President Mao Zedong welcomes U.S. President Richard Nixon to China on Feb. 22, 1972. In 1971, the People’s Republic of China gained membership in the United Nations, raising its status to a major world political power. The following year, U.S. President Richard Nixon visited China, the first step in formalizing relations between the two countries. The visit paved the way for the robust economic ties the two nations share today. It was in the 1970s that China’s economic growth really began to take off. In December 1978, China allowed farmers to sell their produce in local markets, a step away from pure communism. The government also allowed individual businesses to conduct trade with foreign businesses. From 1978 to 2012, China’s gross domestic product grew an average of 9.4 percent every year. No other nation’s economy has grown so fast for so long. After 35 years of almost uninterrupted growth, by some measures, such as purchasing power, China’s economy is now the largest in the world. 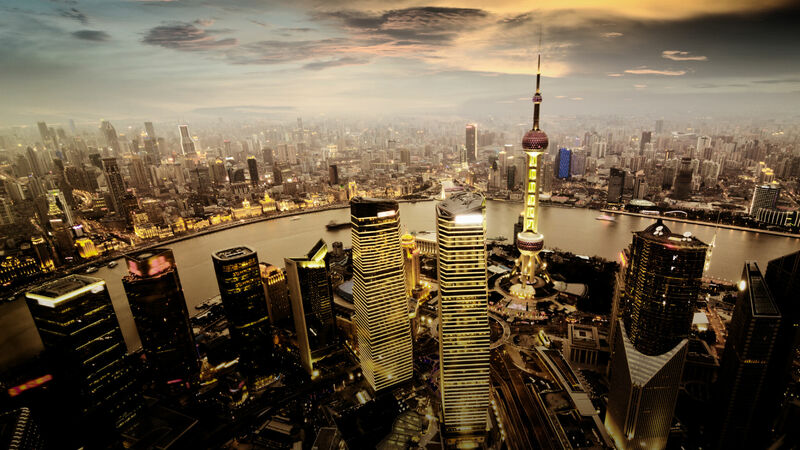 China’s per capita gross domestic product rose from $439 in 1950 to $7,578 in 2014. That is a remarkable achievement. Since opening up trade to foreign markets, China has abandoned its historic isolation. In recent years, China has been expanding its ties with the rest of Asia. In 2013, China launched its “One Belt, One Road” strategy to build transportation infrastructure routes for trade from Asia to Africa and Europe. It covers an area that holds 55 percent of the world’s gross national product, 70 percent of the global population and 75 percent of known energy reserves. In 2016, China launched the Asian Infrastructure Investment Bank, a new Chinese-run international bank. The bank reduces Asia’s dependence on the U.S.-controlled World Bank and aims to replace the U.S. dollar with the Chinese yuan in trade. When the bank was proposed in 2013, the U.S. tried to convince other nations not to join, but failed even to persuade its closest allies. This handed the U.S. an embarrassing defeat and clearly signaled that China is aggressively looking to replace the U.S. in certain markets. The clearest indication that its challenge will not be peaceful comes from what China is doing militarily. In 2008, China became the world’s second-largest military spender. It has been modernizing its navy and is set to have more ships than the U.S. Navy by 2020. In 2014, China ramped up its territorial claims in the South China Sea when it began creating artificial islands in disputed waters and militarizing them. Some of the islands are as far as 800 miles from mainland China, but only 150 miles from the Philippines. According to United Nations law and the International Court for Arbitration’s 2016 ruling, such turf belongs to the Philippines. But China refuses to accept the court’s ruling or international law, and neither is enforced. The Fiery Cross Reef in the South China Sea (as shown here in the summers of 2014, 2015 and 2016) was built to extend China’s military presence in disputed waters. China has also bolstered its military cooperation with Russia. Since 2005, Russia and China have conducted joint military exercises. Lenin wrote that the way to Paris, London and New York is via [Beijing] and Delhi. … [P]art of the Communist plan [is] to place India and Pakistan in a giant vice between Russia and China. … Red China insists it has a legal right not only to Tibet but [also] to many parts of India and Southeast Asia. … Their constant dream for centuries has been ultimate world conquest! … China knows, however, that in this highly industrialized age she can accomplish this dream only as an ally of Russia. … China is now ready to begin devouring the rest of Asia with Russia’s secret military backing. Chinese President Xi Jinping and Russian President Vladimir Putin view an honor guard in Beijing, China. Until recent disagreements put the U.S.-China relationship on shakier ground, this was not a popular view, because China and the U.S. are so economically tied together. First, China holds over $1.1 trillion in U.S. federal debt, making it one of the largest foreign holders of U.S. debt. A conflict between the two nations would see the value of China’s investment drop. Second, trade between the two nations is enormous. Altogether, $598 billion worth of goods was traded between China and America in 2015. This made China America’s third-biggest trade partner. America is China’s second-largest trading partner after the European Union. However, of those goods, the U.S. only exported $116 billion worth while it imported $482 billion worth from China. That is a trade deficit of $366 billion, meaning China has more to lose if a conflict does erupt. That’s nearly half of the total U.S. trade deficit. Depending on whom you ask, you will receive different answers on whether the trade deficit and debt is a negative or a positive for either nation. What can’t be denied is the scope of trade at risk. With trillions at stake, it seems hard to believe the two nations would risk any kind of conflict. But tensions are already deepening. And Mr. Flurry’s statement is based on the sure word of Bible prophecy, which means it is certain to happen. In light of such prophecies as these, and understanding the massive clash that it is leading to (Daniel 11:40-44), the significance of the current tensions between America and China becomes clear. In recent years, the U.S. has seen its manufacturing factories and jobs outsourced. Some estimates put it at over 3 million jobs lost from the trade deficit. This is turning U.S. domestic policies to be more anti-China. China has pushed the value of the yuan to a low against the dollar. This currency manipulation makes Chinese goods even cheaper, angering American firms. But China is facing a slowing economy and labor unrest as it struggles to keep its people employed. But even with all that at stake, the Trumpet forecasts that a trade war will erupt. As the scriptures above make clear, China will participate in crippling the U.S. in a trade war. But how can it do so without crippling itself and committing economic suicide? These two trade giants could work together to bring down the U.S., and Isaiah chapters 22 and 23 show that that is precisely what will happen! By working together, two of America’s top three trade partners could rapidly destroy the U.S. economy. Prophecy is the guide. It is why Mr. Armstrong was accurate in his forecasts and why Mr. Flurry is accurate in his. A third of the Bible is prophecy and most of it is for our time today. Bible prophecy describes an economic siege on America and Britain that is orchestrated by the EU and China. We forecast that the U.S. and British peoples will be left out in the cold as Europe and Asia cooperate and call the shots in the global economy. The U.S. will be literally besieged, economically frozen out of world trade! Events are moving toward the fulfillment of this prophecy. In recent years, the EU’s economic powerhouse overtook the U.S. and Japan to become China’s biggest trading partner. China and Europe have undertaken many joint ventures in recent years, including a 2015 landmark deal between Germany’s largest exchange and China’s Foreign Exchange Trade System, a deal that is significantly strengthening financial links between the two sides. The Trumpet forecasts that the U.S. and British peoples will be left out in the cold as Europe and Asia cooperate and call the shots in the global economy. The U.S. will be literally besieged, economically frozen out of world trade! This prophecy is also described in Deuteronomy 28, which foretells of America being besieged by its enemies: “And he shall besiege thee in all thy gates, until thy high fenced walls come down, wherein thou trustedst, throughout all thy land, which the Lord thy God hath given thee.” Mr. Flurry writes about this passage: “For many years, Mr. Armstrong said the siege prophesied in verse 52 symbolized America’s economy being battered by foreign competition. ‘And he shall besiege thee in all thy gates …’” (ibid). These gates refer to strategic choke points in world trade. Over 90 percent of world trade is carried on the seas. 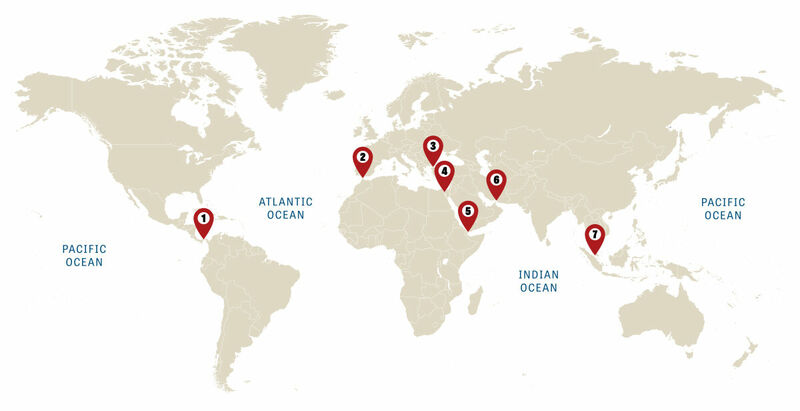 These choke points are narrow shipping lanes through which much of world trade travels. In fact, more than 40 percent of the world’s oil supply passes through six relatively narrow shipping lanes. The choke points of world trade are strategic sea gates that can be used to shut down trade, such as the Panama Canal, the Suez Canal, the Bab el-Mandeb at the southern entrance to the Red Sea, the Turkish Straits, Gibraltar, the Strait of Malacca by Singapore and the Strait of Hormuz by Iran. China has acquired real estate in many important ports and choke points. It bought Panama’s largest port and the Pakistani port of Gwadar, close to the Strait of Hormuz. It now controls the Australian port city of Darwin. Most of these gates were once controlled by the United States and the British Empire, but the tide has turned in the last few decades. Who has those gates? America and Britain have or had the gates, and we are going to be besieged in all of them. We have already virtually lost control of all of them. This is a prophecy for this end time. The Holy Roman Empire, [a 10-nation European federation that will soon come out of the EU] along with the kings of the east (the Asian nations), will cause economic problems and bring on destruction in many ways “until thy high and fenced walls come down, wherein thou trustedst, throughout all thy land: and he shall besiege thee in all thy gates throughout all thy land, which the Lord thy God hath given thee” (verse 52). The real pressure is coming from without. “In all thy gates” refers to a trade war. Over the last 60 years, China has transformed from a poor, struggling nation to an economic juggernaut. Most analysts say that the 21st century will belong to China. How strong will the Chinese get? And will they affect your life? 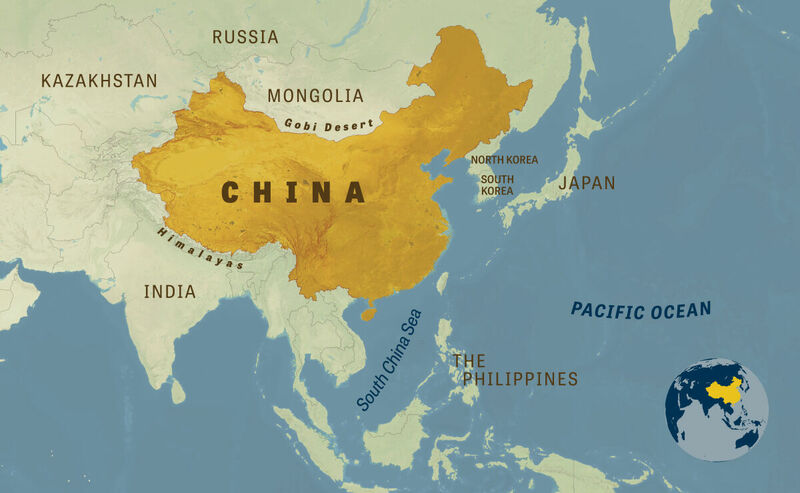 The Bible actually describes the economic might of 21st-century China and specifically prophesies the trade bloc that is developing between Asia and Europe (Isaiah 23). Moreover, it prophesies that China and its Asian allies will use their economic power to field a 200 million-man army (Revelation 9)—and go to war. To learn what the Bible says about modern China, request your free copy of Russia and China in Prophecy.